West Sacramento, Calif. - The Sacramento River Cats (3-1) picked up their third win in the first four games of the 2019 campaign, defeating the Tacoma Rainiers (1-3) 10-3 behind a pair of long balls from Jesuit High School alum and Sacramento third baseman Zach Green. The River Cats' bats showed no signs of cooling off following their 11-run outburst on Saturday night, putting up a 10-spot on the visiting Rainiers. The club's 31 runs this season ranks second behind only the Las Vegas Aviators. Catcher Stephen Vogt gave the River Cats the lead for good when he smacked a homer to dead center in the 5th inning, while Green added solo home runs in the 4th and 8th innings. The River Cats and Rainiers will close the book on their five-game set on Monday with RHP Enderson Franco (0-0, No ERA) making his San Francisco Giants' organizational debut. Tacoma will send RHP Nabil Crismatt (0-0, No ERA) to the mound, who like Franco will also be making his organizational debut for his respective team. First pitch is set for 12:05 p.m. (PT). Catch all of the action live online at rivercats.com, on the MiLB First Pitch app, and on the air on Money 105.5 FM being at 7:00 p.m. (PT). 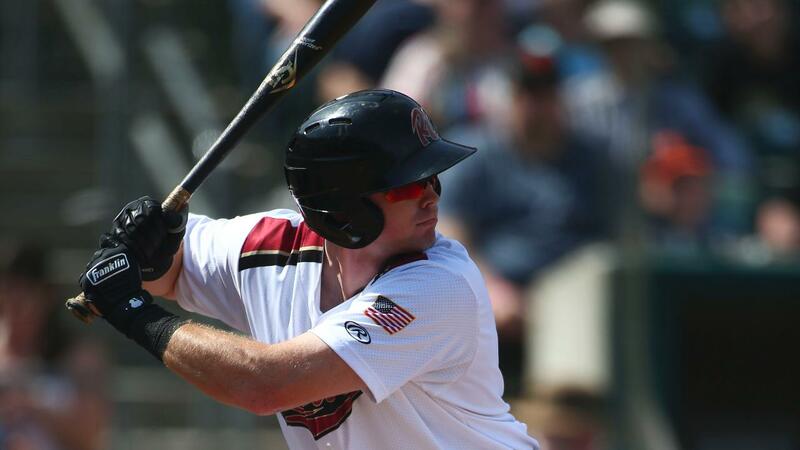 The top of the River Cats' order did damage on Sunday, going 4-for-12 with three walks and seven RBI. The local kid is on fire through four games to start the year, as Green is hitting .500 (7-for-14) with five extra base hits, five RBI, and five runs scored.